The purr-fect gift for ALL discerning cat lovers! Once again thirteen pheline philosophers deign to grace the year (plus January next year) with their purrs of uncommon humor and wisdom! 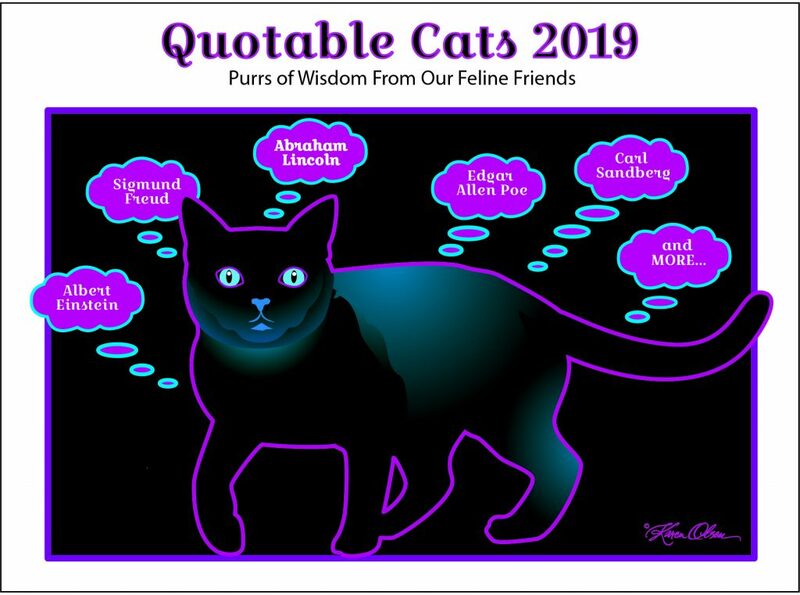 Channeling the great minds of both the deep past and contemporary times, these very quotable critters delight in showing us how beloved our feline companions have been throughout the ages. 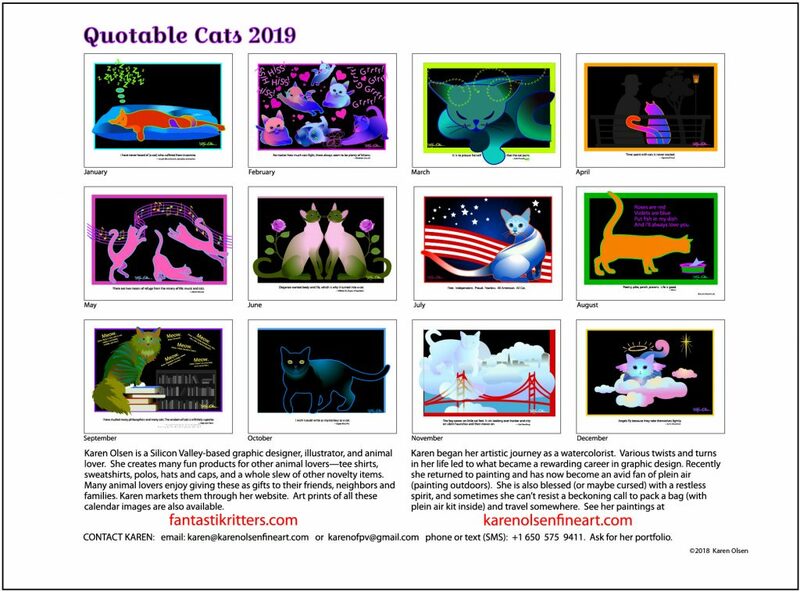 Your gift of QUOTABLE CATS 2019, featuring Karen Olsen’s popular kitty designs, is both unique and, at just $20, not expensive, and it’s sure to bring smiles to your cat-loving friends and family all year!